Muck Boot Co.'s Arctic Pro allows the hunter to focus on what's important, the hunt, not your feet. It is the warmest Muck Boot, designed to keep your feet warm when it gets down to -60° F outside. Because every hunter knows that if you are worrying about your feet you don't have a shot. Muck Boot Co. &apos;s Arctic Pro allows the hunter to focus on what&apos;s important, the hunt, not your feet. 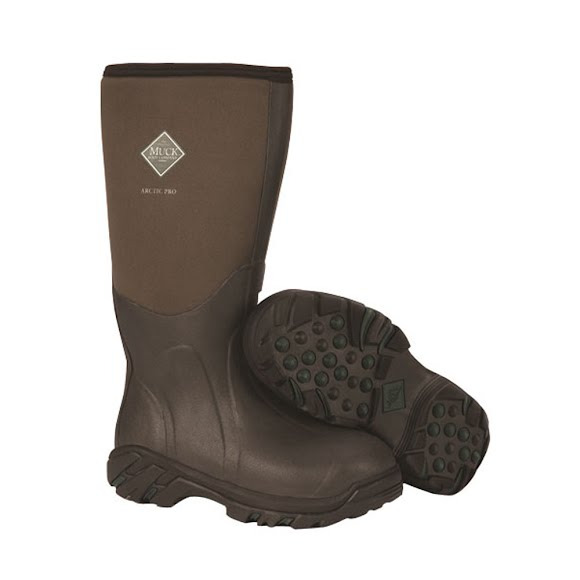 It is the warmest Muck Boot, designed to keep your feet warm when it gets down to -60° F outside. Because every hunter knows that if you are worrying about your feet you don&apos;t have a shot. All of our fleece lined Muck® Boots offer superior warmth for frigid environments. The soft lining offers enhanced comfort, yet is durable enough to endure long cold treks. Exclusive, 100% waterproof neoprene shell construction.